Keeping it Green and Clean One Yard at a Time! CALL 307-587-6870 TODAY! SPRING IS COMING. Call today for your spring start up, lawn mowing, or estimate on new install. Friday April 12th and 13th. We have a small gift for all our Wyoming Sprinkler customers so make sure you stop by to see us. Learn why Wyoming Sprinkler has been one of the Big Horn Basin’s most trusted irrigation contractors for over 30 years. When it’s time to install or replace your sprinkler system, hire a Certified Irrigation Contractor and get the job done right! From starting your system in the spring, irrigation system repairs and winterizations to water conservation and landscaping, we’ve got you covered! We are family owned and operated. Wyoming Sprinkler has been around for 30 years. We serve Cody, Big Horn Basin, Powell, Meeteesee, Thermopolis, Greybull, Lovell, Worland. Our services include Sprinkler Installation, Landscaping, Installation of Sod, Lawn Mowing, Spring Start up, Service work on sprinklers with Winterization of sprinklers, Snow Removal, Filter Cleaning. 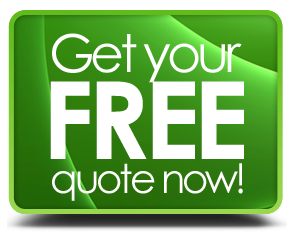 Let us know a little bit about your project and we will make up a customized quote free of charge! We wanted to send you a reminder that we are approaching freezing temperatures and want to make sure you protect your system. Please turn off water and make sure your pump and filters above ground are drained.